Still overcome with nostalgia, Vice excitedly mentioned the upcoming Tiffany and Debbie Gibson concert happening this weekend and ended up breaking into song with Anne, as well as the rest of the studio audience, to Debbie Gibson’s “Lost In Your Eyes.” Vice Ganda and Amy Perez even demonstrated the iconic 80’s dance steps to “Electric Youth." If you’re curious about the dance routine, let’s watch the official music video shall we? 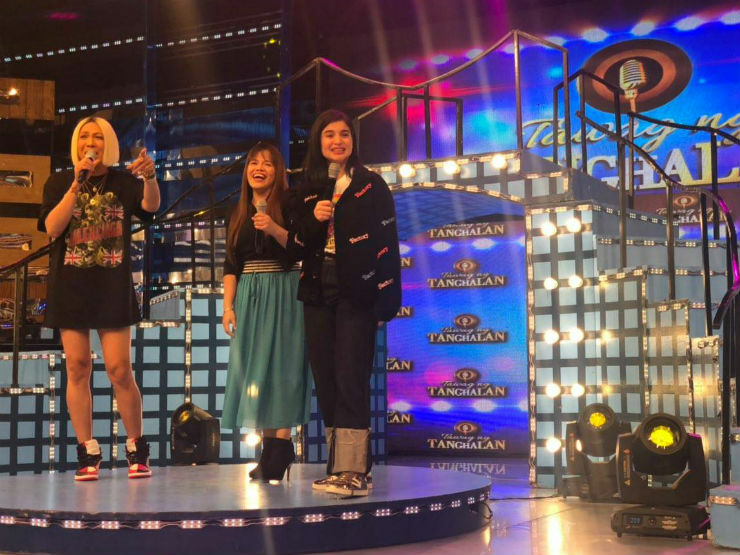 Of course, the unkabogable Vice Ganda had to put his own spin on the dance step, but it’s clear that he and his fellow co-hosts are still very much in love with Tifany and Debbie's music! Laarni's performance was very timely, setting the tone for Debbie Gibson and Tiffany: Live in Manila, happening at 7PM this Saturday, September 15, at the SM MOA Arena. READ: The original 80's pop princesses Debbie Gibson and Tiffany are coming to Manila in September! Who watched that major throwback moment on Tawag ng Tanghalan? Tell us your favorite part in the comments!